The Stanley Cup Playoffs are now in full swing, and as with all major American sports leagues, you can guarantee that means lots of advertising. With a huge list of major sponsors to their name, the NHL is being marketed everywhere. We’ve compiled a list of the top 15 ways these sponsors are gaining attention for both themselves, and for the Playoffs. Gatorade have produced a commercial with Chicago Blackhawks winger Patrick Kane titled ‘Smooth Finish’. The commercial involves Kane sipping on a Gatorade before sliding home the game winner, all in slow motion of course. Geico is also using commercials to gain recognition through its partnership with the Stanley Cup Playoffs. This brand has produced an advertisement titled ‘Build Up’, which features Boston Bruins player Patrice Bergeron. Geico have created another television commercial, called ‘Win Win’. Again, they’ve used Patrice Bergeron, creating a theme within their advertising. ScotiaBank will provide 150 bags of hockey equipment to selected communities in Northern Canada. A slightly left-field idea, certainly in compared to standard advertising, this provides recognition for both ScotiaBank and the Stanley Cup, while also benefitting the chosen communities. Discover gives the opportunity to a young hockey player a chance to visit the Stanley Cup. Undoubtedly an unforgettable experience for one lucky youngster, this will also give Discover a few brownie points with parents and young players alike. Pepsi is offering mini-replica Stanley Cup trophies in various products produced by the company. This ensures consumers will be more inclined to buy Pepsi products as they hunt for the elusive trophies. PPG Paints has delved into television advertising with ‘Character of Champion’. This ad features Phil Pritchard, who is the Keeper of the Cup, as well as the cup itself. Enterprise has produced ‘All the Places Life Takes Martin Brodeur’. 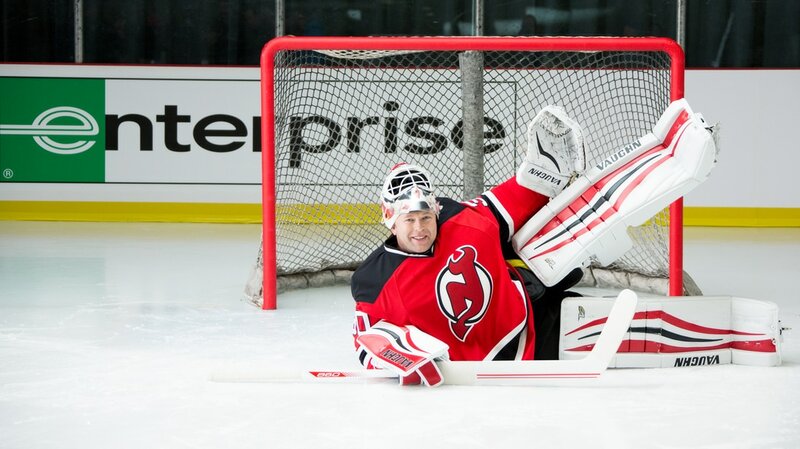 This is a series of humourous shorts, which feature former NFL goalie Martin Brodeur. The NHL itself is, of course, running advertising campaigns for the Stanley Cup Playoffs. This year, it focusses on the 125th anniversary of ‘the most coveted trophy in sports’. If you guessed that sporting apparel brand Reebok would use Stanley Cup clothing to gain attention, you would be correct. The company has developed a range of Stanley Cup Playoffs teams t-shirts, available for a limited time. Coors Light have created a range of Stanley Cup Playoff specific products. A Stanley Cup Playoffs beer tap handle, for example, is available for purchase. Dunkin’ Donuts has created various promotions which are intrinsically tied in with NHL results. These include cheaper donuts when certain teams win. What more could you want? 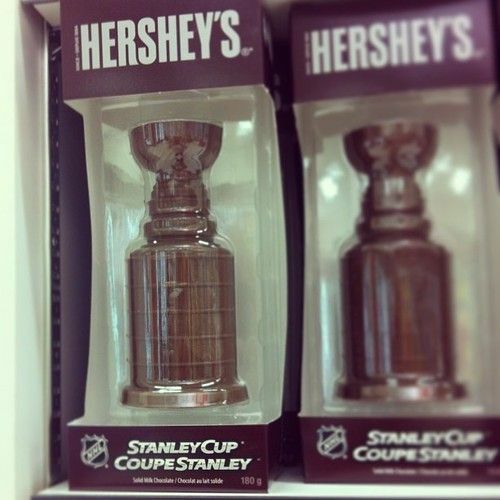 Ever wanted a Stanley Cup made out of solid chocolate? Hershey’s can provide. class="post-template-default single single-post postid-937 single-format-standard samba_theme samba_left_nav samba_left_align samba_responsive woocommerce-no-js wpb-js-composer js-comp-ver-5.0 vc_responsive"